· WHO SAYS EMBRYONIC TREATMENTS CAN’T HAPPEN? Embryonic stem cell treatment are now an unrealized potential. Adult stem cell treatments are a realized potential. GERON GIVES UP on EMBRYONIC STEM CELLS! 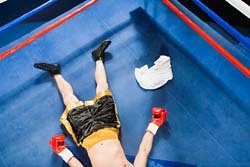 If stem cell treatments were a boxing match, Embryonic stem cell treatments would be the 500 lb Gorilla and Adult stem cell treatments would be the small, unknown underdog. Today, that Gorilla threw in the towel! While Geron and the US media, big Pharma, the AMA and the FDA have all given Embryonic stem cell their full throated support, the number of patients helped with adult stem cells is in the 10s of thousands while the number of patients helped by Embryonic stem cells in zero. If Embryonic treatments were a horse race, Geron would be the strongest horse in the field. Geron would be the horse who was 9/10 of the way around the track with all other competitors still milling about in the starting blocks. 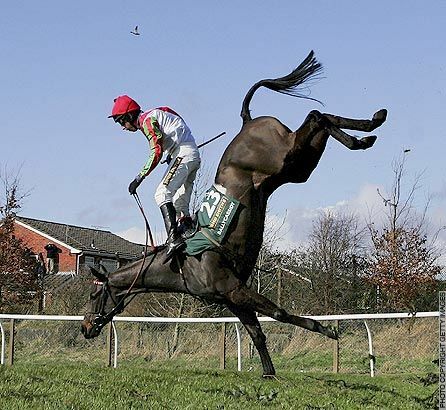 So what would make that horse stop dead in his tracks, fall flat on his face and walk away from the race? What does it mean for the other Embryonic focused companies when the front runner pulls out of the race? What would cause the leading Embryonic stem cell Pharmaceutical company with multiple Embryonic stem cell products in development to end all of their Embryonic stem cell programs? Perhaps Geron couldn’t figure out how to address the need for immunosuppressive drugs required to implant a human with ALL Embryonic stem cells when there are many Adult stem cells that have no rejection issues. Perhaps Geron couldn’t determine how to deal with Embryonic stem cells carrying the genetic abnormalities and maladies of the donor. To date, ESC research has been 100% fruitless (in regard to generating treatments) for well-funded + government supported scientists around the world for the last 11 years. Dr. Bernadine Healy, former director of the NIH in U.S. News & World Report: “…[ESC], once thought to hold the cure for Alzheimer’s, Parkinson’s, and diabetes, are obsolete….. In fact, adult stem cells, which occur in small quantities in organs throughout the body for natural growth and repair, have become stars despite great skepticism early on. Or maybe they reviewed the timeline for Embryonic stem cell success and realized they couldn’t afford 50 YEARS OF RESEARCH! via Screw The Embryos, They’re Irrelevant! Even so, we are not fooled. The red headed step child in the family always knows when they are neglected. They also published their press release at 4:05 Eastern so the regular stock market was closed and couldn’t react to the news. Unfortunately for them, their stock dropped over 20% in after hours trading. Whatever the reason for Geron abandoning Embryonic stem cells, we can now finally exalt that THE WAR IS OVER and get on with Adult Stem Cell Treatments, the only stem cells to cure a human patient. 60-70% SUCCESS RATE typical therapeutic benefit on INCURABLE DISEASES!! POTENTIAL CURES of Autism, Parkinson’s, AIDs, Diabetes, Heart Disease and more! HUGE REWARDS of life extension! SIGNIFICANTLY IMPROVED quality of life! MENLO PARK, Calif.–(BUSINESS WIRE)–Geron Corporation (Nasdaq: GERN) today announced that, effective immediately, the Company will focus on its first-in-class oncology programs. As a consequence, the Company will discontinue further development of its stem cell programs and is seeking partners for these novel assets. …The decision to narrow Geron’s technology and therapeutic focus was made after a strategic review of the costs, value inflection timelines and clinical, manufacturing and regulatory complexities associated with the Company’s research and clinical-stage assets. With this decision, Geron is eliminating 66 full-time positions, representing 38% of its workforce. As a result, the Company expects one-time cash expenditures of approximately $5 million in the fourth quarter of 2011 and approximately $3 million in the first half of 2012. Geron expects to end 2011 with cash and investments in excess of $150 million. Geron is seeking partners with the technical and financial resources to enable further development of its stem cell programs. “Our employees, collaborators and shareholders can be proud of the pioneering role they have played to advance our stem cell technology into the clinic,” said Dr. Scarlett. “Stem cells continue to hold great medical promise. We believe that our leadership role in the field and the quality of our stem cell assets — which are widely recognized as being among the most innovative, comprehensive and advanced cell therapy programs in the world — will be an important point of differentiation in our discussions to partner these assets.” In order to facilitate transfer of these programs to partners, Geron will retain a core group of employees from its stem cell operations through the end of the second quarter of 2012.